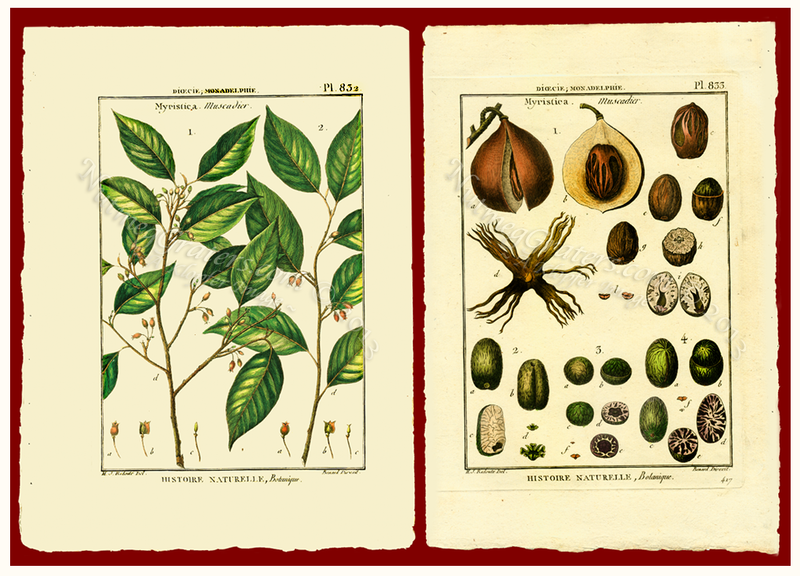 PRINT ENTITLED: Myristica ~ Mascadier. SOURCE: Tableau Encyclopedique Et Methodique Des Trois Regnes De La Nature. PUBLISHER: H. Agasse, Rue of the Poitevins, Paris. ENGRAVER/MAKER OF PRINTBLOCK: Bernard Direxit. DATE OF PUBLICATION: Published "AN VIII DE LA REPUBLIQUE" ~ The French Republic began in 1789, dating the title page to 1797. DATE OF ENGRAVING: Prints described as engraved in 1791. SCOPE AND PURPOSE OF PUBLICATION: A publication of botanical interest. PRINT METHOD: Hand colored copperplate engraving; a plate mark identifying the intaglio process. PAPER TYPE: Heavy wove paper, bearing no water mark. HISTORY: Jean Baptiste Lamarck (1744-1829) supervised Tableau Encyclopedique Et Methodique Des Trois Regnes De La Nature, published in Paris from 1791 until 1823. He had dabbled in careers with the church (Jesuit college), in the French military, and in the field of medicine. 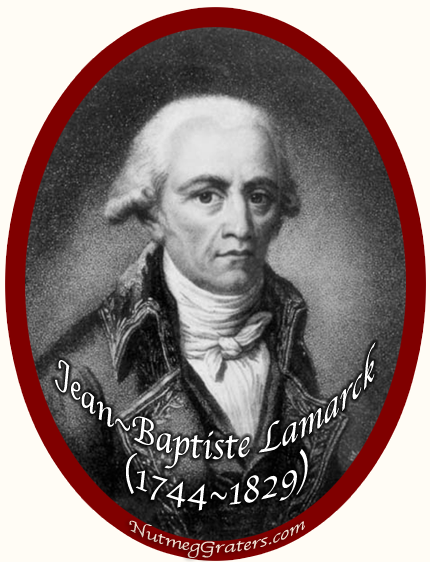 Injured in 1768 and on a military pension, Lamarck returned to his study of the natural sciences. About 1778, he published Flore Francaise with help from Buffon which resulted in his election to the prestigious French Academy of Sciences. Lamarck reorganized the Jardin des Plantes into the French Museum of Natural History in 1793 where he was appointed as a professor in 1794. His most noted contribution to science was his poorly accepted theory of transmutation, an early concept relating to evolution. He defined the nature of "invertebrates" (Lamarck's term) and advanced the study of shelled creatures. Henri-Joseph Redoute was an accomplished artist, from a famous family of artists. His father was Charles-Joseph of Belgium and his brother, the famous botanical painter Pierre-Joseph Redoute.